Here at Dow Lewis Motors, we are an extremely active community member and love giving back to Yuba City and the surrounding areas whenever possible. We understand that in order to continue to serve the wonderful community near Nevada County, we must invest in the future of these communities. Dow Lewis Motors would like to thank our generous Buick and GMC customers, the residents of Yuba City, as well as all of our neighbors for their loyal business! Dow Lewis Buick GMC believes in a hassle-free sales process that provides the highest levels of customer service and a lasting relationship long after the sale. We carry the full line of Buick and GMC models, along with used and certified pre-owned vehicles. In addition, we have a fast-growing commercial truck/work truck inventory in stock of work-ready flatbeds, service bodies, enclosed plumber-style bodies, dump trucks, and many others including work truck pickups and work truck cargo vans. 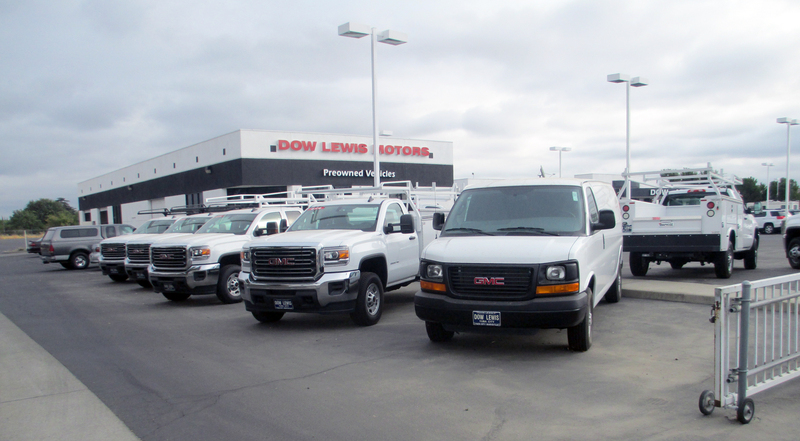 Dow Lewis GMC Trucks has been in the commercial truck or work truck business for a long time. See Jordan Lewis, commercial truck/fleet manager for all your needs in work vehicles. 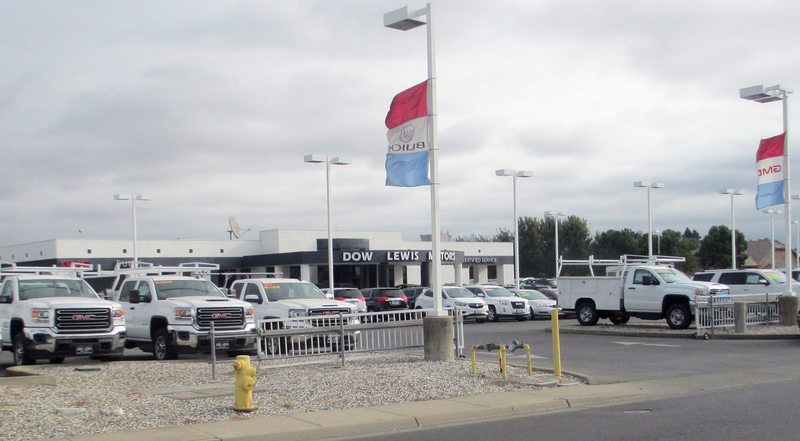 One of the most important aspects of Dow Lewis Buick GMC and its longevity is our outstanding service and parts departments. We are well known throughout Yuba City, Marysville and the surrounding area for our care of each and every customer that comes to us for service and repairs. If you haven’t had the opportunity, please give us a try and we think you too will become a long time customer. One last thing. Our dealership and its heritage is family. We are family owned and family operated. Murry and Ted Lewis are owner operators of the dealership that their father, Dow Lewis began many years ago, and now we have a third generation of the Lewis family in Jordan Lewis, now head of our commercial truck and fleet department.